Tonight at 9pm, we’ll be re-launching our online BlogTalk Radio show, “Soul Empowerment Radio”! We took a bit of a hiatus for travel, getting out into the world, and diving a bit into the soul journey. I’m excited to be on air again. Technology often gets a pretty bad rap, but if we can use this platform to connect, to deepen our connection to the journey, and to offer healing to the world then it’s a good thing! My hope is to go LIVE Monday – Friday at 9pm EST. Each episode will start with a discussion and soul centered dialog followed by a guided meditation. I’ll also be opening up the lines for FREE on air mini-readings and healing sessions. We are also working on inviting on guests, doing book reviews, and opening to community in whatever way we can! It’s been an incredible few months. Weather changes have bombarded our coasts, upheaval seems to be a constant trend in our media, and life for many has become heavy. It’s okay to feel whatever it is that you are feeling. You are human. It’s okay to feel the pain and the weight of the world. Taking steps toward joy can be difficult in times of global or personal upheaval. 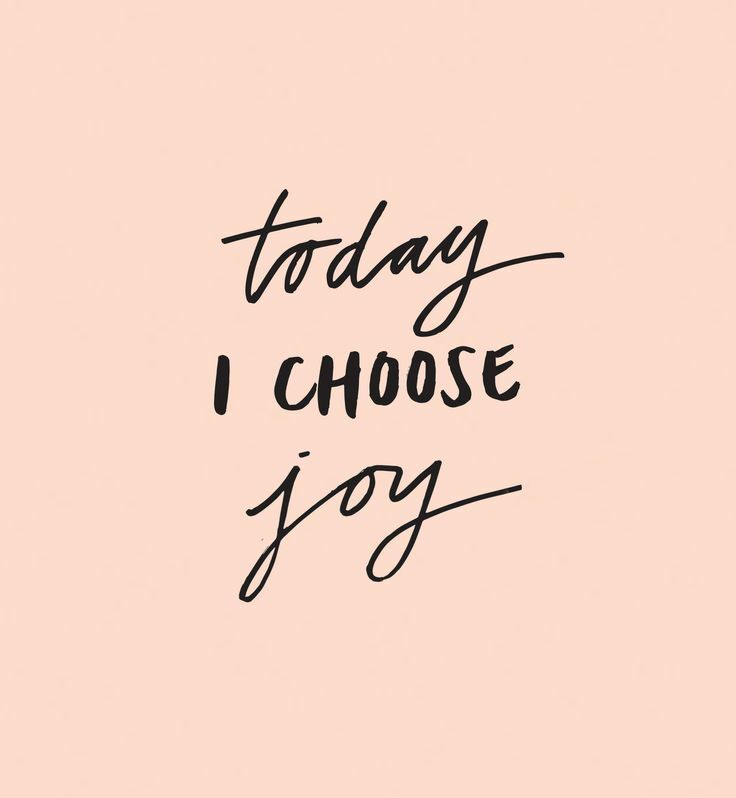 Joy is often elusive when we feel the weight of life on our shoulders, but we have to remember that taking steps toward joy gives us a chance to feel freedom, even in our chaos. Find time to laugh. Laughter really is the best medicine. Take time to express gratitude. Now, this is different from just writing down the things you’re grateful for (which is also a powerful practice). Expressing gratitude through action allows us to participate in sharing joy. A few ways to express gratitude are: saying thank you to those that serve you in a restaurant, offering to do the daily chores, helping others in need, being in service to those around you in whatever ways feels best. Journaling. Journaling allows us to detox the mind. Creating a pressure valve for our minds allows us to have a bit more space in our life for joy. Do something silly. Color in a coloring book, play with play dough, paint, run through the sprinklers, have fun! Talk a walk outside and experience nature (not just on your screen saver). Finding balance in life allows us to move a bit deeper into the flow. It helps us to be in the experience of life, it allows us to feel this moment a bit more deeply. Life is going to come with its up and downs, it may even take you sideways, and that’s okay. It’s part of the flow. Joy is part of the flow. Love is part of the flow. Even if things feel heavy right now, know that you are moving, just as the breath is moving through your lungs. Live deeply, love deeply, be present. The soul is a powerful part of who we are. It is the breath of God that breathes through us. It is the voice that we hear in times of need. 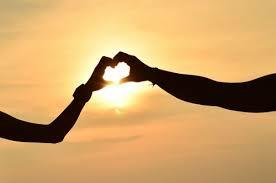 It is the love that radiates from the limitless, into this sometimes limited space of existence. 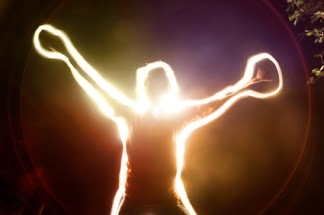 Opening up to the current of your soul is a powerful way to help radiate light into all creation. The more open we are to our soul, its guidance, and it’s presence the more able we will be to stay aligned with our life purpose. There are many ways to connect to the Soul Current, so this list is by no means the end all be all, but having a place to jump-start the connection is always helpful. The soul is always and in all ways with you. It just takes a moment to connect. Connecting to your soul allows you to engage your life, your health, your work situations, and life with greater clarity. Take a few moments each day to consciously connect to your soul. What messages does it have for you? Slow down. We are all moving so quickly these days. We run through the day with barely any recollection of the important moments. We extend ourselves so far out into the future, that we lose sight of what is right in front of us. Take a moment to slow down, breathe, sit, and disconnect from the busy energy in your life for 15 min. Breathe. The breath is our connection to the divine. When we breath we are accepting an invitation to join the present. To be present in our presence allows us to connect to the soul. Conscious breathing nourishes us. When we are present with the breath, we are present with the soul. Be kind. Extend kindness in all directions. When you are at the grocery store, say thank you to the person ringing up your groceries–use their names (they are wearing name tags for a reason). Call a friend and tell them how much they mean to you. Don’t forget to be kind to yourself. We beat ourselves up all the time for silly things. Take a breath, place your hand on your heart, and say “I Love You” to the beating heart. Journal. The journal is the most powerful spiritual tool that we have. It is a sacred space for us to have dialogue with our soul. Making time each day to reflect on the various aspects of our life allow us to gain clarity. In your journal you can write questions that you want to ask your soul. You can write letters to God. You can explore emotions and experiences that may be troubling you. The journal is a great place for contemplation. Meditate. Meditation allows us to come into presence. It allows for mindfulness and stillness, and in the stillness we can find our soul waiting for us. There are many different ways to meditate, so I encourage you to explore and find what works best for you. Inviting stillness into our mind, body and spirit allows us to slow down and rest in our presence. An easy way to connect to your soul in meditation is to: sit, bring attention to the breath, and listen. Trust. Learning to trust can be difficult. Many of us have been hurt at some point in our lives. This causes us to lock down. The pain is often a doorway that allows us to be softer, it allows us to learn more about who we are at the core of our being. We often blame God or our intuition for taking us into the storm, but often we had the guidance to avoid the storm before we made the journey–hindsight is always 20/20. Journaling and writing down the words of our soul help us to see the words, which in some cases helps us to trust it. The more we engage our soul, the more we step into the current of our being. Move your body. The body is the temple of the soul. Moving the body allows us to bring all parts of self into communion with the soul. We often store emotions in our body. This can result in muscle pain and tightness. Treat the body to exercise, massage, yoga or some other form of physical activity. When we honor the temple, the soul is able to be more present. Eating foods that nourish you is another way to keep the body’s energy clear and receptive. Read uplifting books. Read books that take you to a new level of consciousness. Take the information from what you read and apply it to your life. I often see people get these really great spiritual books, but no one does any of the exercises. Taking time to apply what you are learning to your life will help you become part of your evolution. Reading about masters can offer insight into your own journey. Connect to community. You are not alone on the journey. Connect with like-minded individuals, join meetup groups, and if there isn’t anything in your area start something! Connecting to community allows our soul to flower. By opening up to the light of others, and by sharing our light, we raise the vibration of humanity. Love yourself unconditionally. Learning to love yourself, without conditions, is the fullest expression of your soul’s light. This is a hard step for many of us, but an important part of the journey. Opening to a deeper sense of love, allows you to also become more receptive to a greater love from those around you. Too often we shut ourselves down through judgement, through fear, or unresolved grief. By doing many of the actions in this list, you are telling the soul that you are ready for a deeper connection to love. Our soul is an expression of God’s love for us. Place on hand on your heart, and the other on your solar plexus. See the word LOVE in your mind’s eye. Inhale and align with LOVE. Exhale and expand LOVE. Continue this cycle of intentional breath until you feel love moving through your being. These are just a few ways that you can connect to your soul. Opening up a little each day, and setting aside time to begin the process is all it takes. The hardest part about spirituality and life is showing up. Are you ready to show up to your journey? I love fluidity in my spiritual work, but I’ve noticed that I have been a little too loosey goosey with things as of late. I’ve seen this in a lot of friends and clients as well. In the past few weeks I’ve had a lot of time to self-reflect. I’ve been able to dive a bit deeper into my personal experience to see what I need to do to get myself back on track, to go deeper. When there is structure, there is foundation. Today, I sat with my intuition. It told me that I need to be a bit more structured in how I approach my personal spiritual work. I have a military background, so structure and discipline are nothing new to me, but it can be a bit tough to step back into those waters, but I feel that it is necessary. Today is a good day for building a new foundation. The sky is a bit overcast, and the temperatures are starting to cool. Sitting outside in nature allows me to see how everything is just moving at a beautiful rhythm and pace, it has a structure… not one that limits, but one that allows for the deepest expression. Over the past few weeks I’ve seen myself slowing purging from my life the things that are no longer serving my highest intent and purpose. Friendships have changed, evolved or fallen away. What I choose to give my attention to has also changed. I do feel the deep call of distraction from time to time. Too often we feed our distractions, because to feed our points of power means that we have to change completely. Now that I am aware of those distractions I’ve started the process of removing them. I’ve deleted unnecessary apps from my phone, am limiting my time on social media, and am doing a deeply structured fast this week. Structure shouldn’t be looked at as punishment, but if we are just floating through our experience and not engaging a deeper sense of purpose, we need to take a look at that. Everything has intention behind it. Even when we choose to step out of our light, that carries intention, and that ripples through all of creation. For me, structure allows me to be more powerful, it allows me to be fluid with purpose. It also helps to eliminate fear. Starting this week, I am making even more changes with how I work with spirit, but also in some of the direction I take with engaging the world and my soul community at large. I’ve seen other amazing people stand deep in their truth, bringing new perspectives to light, and opening their inner awareness.. these individuals have inspired me to no longer hold back. For a long time I’ve preferred not to rock the boat, but sometimes you have to rock it to clean off the barnacles. Having structure also allows us to be okay with whatever happens when we take those steps onto a new phase of our journey. The things I’m going to be bringing forward are going to be new for me to talk about, but are things that I and my Soul feel are important to start sharing. What would having more structure look like to you? Where do you need more structure in your spiritual life? What can you do right now to move towards deeper connection and commitment? Over the past few months, I’ve been given a lot of clarity. I feel that I’ve been holding back a lot of my life. I feel myself opening to new energies, and new and deeper understanding of spirituality. Each day I sit with my soul in deep conversation. I’m learning to listen, and more importantly to trust. My intuition and my guides have been giving me a lot of new information recently. New downloads seem to be a daily thing. Some of the information is going to be radical, and some of it a gentle reminder to return to ourselves. I’ve also been given some new processes that’ll I will also be sharing over the next few months. Lot’s of changes are ahead. I’ve been feeling the call to simplify my life, my spirituality, and work. Change is never easy, but as we move into greater states of trust, we know that change is also powerful. I feel that as teaches, readers, healers, as we evolve we also help those coming to us evolve as well. It means there is more work to do, and a new level of experience is opening up. I’ve found myself holding back from sharing the information that’s been coming through, but we are entering a time where it is necessary for us to connect to our soul energy at the deepest levels possible. Some of the information that will be delivered may not resonate with everyone, and that is okay. When we come up to the edges of our reality, when we encounter challenge, we learn are then able to grow. We also encounter deepening at those moments of challenge. It’s time for us to take ownership of our experiences, to take claim to the power inherent in each of us. Communities are starting to come together, soul families are being born and created, and the flow of etheric information is on the rise. Now is the time to listen deeply, find time for stillness and silence, and open to your highest levels of intent. When we encounter new information it can be challenging and even frightening to bring it through. I’ve been seeing many light workers waking up to their divine purpose, and then taking the leap and putting themselves out there and into the world. This is the time to shine our light as bright as possible, and it truly is inspiring to see so many communities and individuals taking off the reigns and transmitting new information with intent. If you are finding yourself holding back because of fear, judgement, or otherwise… just know that it is time to step deeper into and onto your path. There are teams of etheric beings that are there to assist you, and there are many others in this reality that are also waiting for you to step up to the podium. One of my teachers Consuela Newton closes many of her talks with this quote from Matthew. This has become my mantra in a way..
Let your light so shine before men, that they may see your good works, and glorify God. Take a moment to see where you are holding back in your life. What is calling you? Where do you feel you need to be more present? What can you do in this moment to move into greater connection to your journey? The journal. Some people love them, others find them deeply challenging to keep. I love keeping a journal. The journal is sacred space. It allows us a space to reflect, to come into communion with our intuition, and to catch snapshots of our lives. Life happens quickly, and having a quite place that we can gather ourselves is necessary–the journal provides this. I also tell my clients that it is important to keep a pen and paper journal. I know we live in the age of technology, but with our fancy devices comes a lot of distractions. From time to time I’ll keep quick notes, or reminders to myself of things that I should write about in my journal, but I love the tangibility of a paper journal. When we write things out longhand we are also connecting to each word that kisses the pages of our journal. When we write things out we are also inviting our bodies into this process, we are able to make mistakes, scratch things out, and we tend to not be as polished as we are on our electronic devices. You can also keep an art journal if you are more connected to the visual realm. Another things I tell my clients is that it is not so much about journaling everyday, but it is important to carry your journal with you daily. Daily access to the journal is giving yourself permission to write when it feels right to do so. Not having it with you, or leaving it at home puts distance between the intention to write and the action. Most of us might “want” to, or might be able to remember those insights later… but we also often forget. I keep my journal at arm distance. I like to have access to it at the gym, in the grocery store, or when I’m waiting in the car. I sometimes will just open it up to a blank page and sit. The blank page is possibility. I can rest on that page, reflect and energetically fill that page with my thoughts and intentions. I find that the simple act of opening the journal is entering sacred space. Things get quite, and my focus is now on the page, which also helps me enter into stillness. Everyone will have their own ideas surround what a journal is or isn’t. These are just my thoughts, and my personal connection to the journal. Feel free to develop your personal connection to it. The next big question is: What do I write in my journal?! Anything and everything you want. 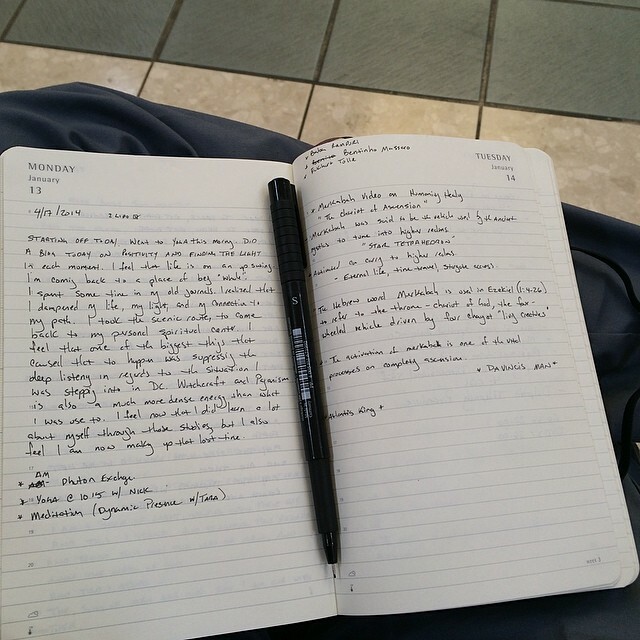 For a while I would keep a separate journal for different areas of my life, and still do to a lesser extent. I find that keeping my thoughts focused in one space helps to keep me focused in one space. I write my thoughts, my ideas, my struggles, my intuitive insights, my paranormal experiences, what foods I’m eating, manifesting lists, yoga postures and sequences that I am working on, show topics, drams and interpretations, self readings, tarot card exercises and readings, research..etc. The list is truly limitless. The idea is try not to limit yourself. You can do the “Dear Journal” and write about your day, or you can just allow consciousness to flow in whatever direction it wants to go in. 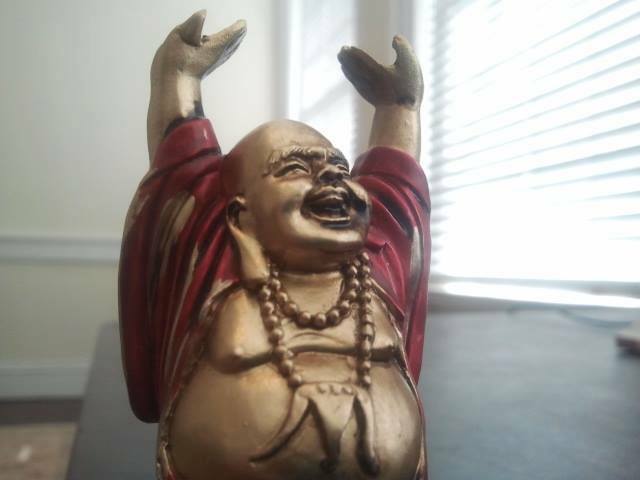 After making some big life transitions I felt that I needed to come back to center. I pulled out all of my old journals and began to sift through my personal story, my journey into the spiritual. I found myself again in those pages. They gave me a chance to reflect on the reasons I started doing this work, and also allowed me to have gratitude for my evolution along the path. Journals are our record keepers, they are our friends, and they at some point will become our legacy. Do you journal? What do you like journaling about? If you are not currently keeping a journal, what is your resistance? I hope that everyone is doing well. Life has been up and down for many (myself included). Be sure that you are taking time to breath. Take a few moments each day to be in gratitude for all that life is bringing you–yes, even the struggle. The struggle that we go through is a teacher, it helps to bring us to our edges, and helps us to initiate change. Take a moment and just breathe. Place your hands on your heart, and feel the drum of your life beating, moving life force through your very existence. This is what life is really all about. Finding a bit of stillness in the chaos. Don’t get so hung up on the small things. Allow yourself to have grace, peace and love. The world will bring its challenges. Life will be difficult. Decisions will not be easy… and even in all of this we can find love. The grass is already green where you are. Stand in power, stand in love, and let your breath move you. –I’ve just loaded up my website with the reading specials for June! So head over and check those out. I am also offering some really great offers for this weekend (5/30-6/1). If you purchase a 30 or 60 min reading this weekend, you’ll get one free. You can share the extra reading with a friend, use it for a follow-up, or just keep it for a future “soul check up”. The sessions are good for 6 months, so you don’t have to book them right away. This is a great deal since they are combined with the already reduced rates! Click here to go to my site, or fill out the form below. If you are currently going through a financial hardship and still want to get a reading, do not hesitate to contact me. We can always work out an exchange, a payment plan, etc. –I am also offering $6 email readings. These are great if you want a bit of a soul nudge, or just have a few questions. These usually take me about 24 hours to respond to, and you can ask up to 3 questions you’d like guidance on. For more information or to schedule a session just click here. You can also fill out the form below. Soul Interaction Radio is up and running! Be sure to check it out. I am going all out with it, and really hope that we can keep the momentum going. We are currently airing 5 days a week, and I have some AMAZING guests lined up for the show. Here is the current schedule. Fridays- Soul Satsang: This show is a divine transmission. It is about creating and solidifying our touchstones for truth. I tune into spirit, and we flow through guided meditations, channeled messages, healing, and spiritual discussion. I am working out the time and format, and that will be found on the BlogTalk channel. – I am also getting more active on YouTube, so be sure to check out the Soul Interaction Channel! Just remember, take some time for you. Start living your life to the fullest NOW. Stop tiptoeing around your soul journey and start living it. Trust your intuition, and take the leap!